Sometimes, decisions aren’t easy. This was one. 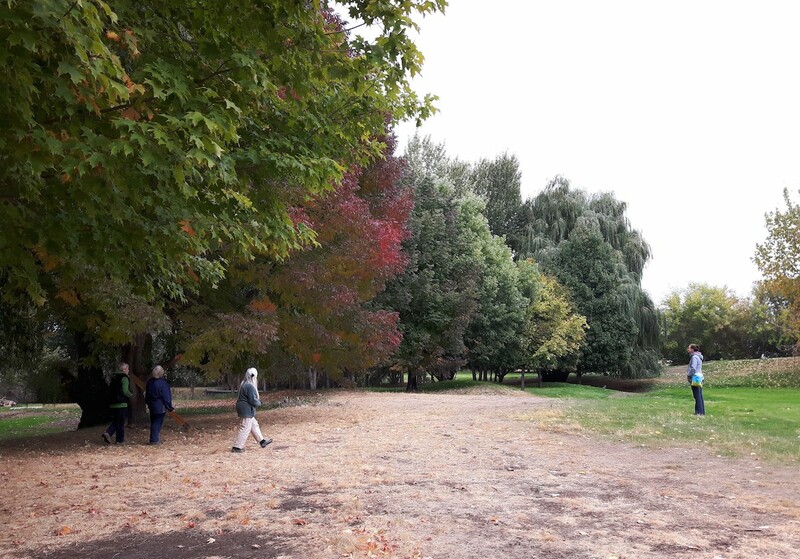 Last May, Council gave the direction for the Kamloops Naturalists’ Club & Kamloops Disc Golf Club to work together with the City on planning a multi-use park that would incorporate natural elements along with disc golf. I knew both elements could work well together, because I’d used parks that incorporate both before. I love spending time in nature. It’s especially important in our “wired” age, and it’s crucial for our mental and physical health. I have no vested interest in disc golf, but I know it’s a healthy and accessible activity for all ages, the activity is not constant (look at Rose Hill), and the etiquette of the players is to be considerate of other park users. While the plan for both groups to work together didn’t go as smoothly as hoped, I’m optimistic that this past Tuesday’s decision will yield a shared park with a whole host of uses for everyone, including a chance to spend time in and learn about nature. The multi-use park plan remains to be approved by Council in the 2019 supplemental budget. You may not agree with this decision. I respect that, and hope that, even in the face of disagreement, we express ourselves with care and respect for one another. What a joke, Ken and his little band of merry go rounds have no clue on how nature works and if they spent any time in it and got some education or at least listened to the pro’s they would not have voted for this. Ignoring the mass vote was not a smart idea. As for Kathy spending time at another park that holds a disc gold course in a park does not mean that it is right or that it works! Kathy has not be known to make many smart decisions and I think her career as a city councilor will be a short one. If the shared park is going to work then I believe that spring nesting season is off limits.Birds on nests raising young are easily upset by any violent activity as are the young nestlings themselves. While the idea of sharing sounds great other people are not the only things that are sharing the grounds and nesting sites.I would like to see a no use time slot that will alow the majority of nestlings to fledge at least before full gaming starts. I don’t believe anyone wishes to harm any wildlife but you should ask a bird expert if noise upsets the nesting /fledging mating process. If you knew both elements could work well together, because you have used parks that incorporate both before…then the decision must’ve been a pretty easy one. I just wonder though where this great interest in disc golf come from so suddenly. And while I have your attention I must tell you about this great enduring sport, called cycling (especially the off-road version) which gets relatively little attention from the city but should get much more in my opinion. Sharing McArthur Island former golf course if perfect! We can get along – sometimes it takes more effort than others, but it’s do-able!